Drink beer AND get into shape? 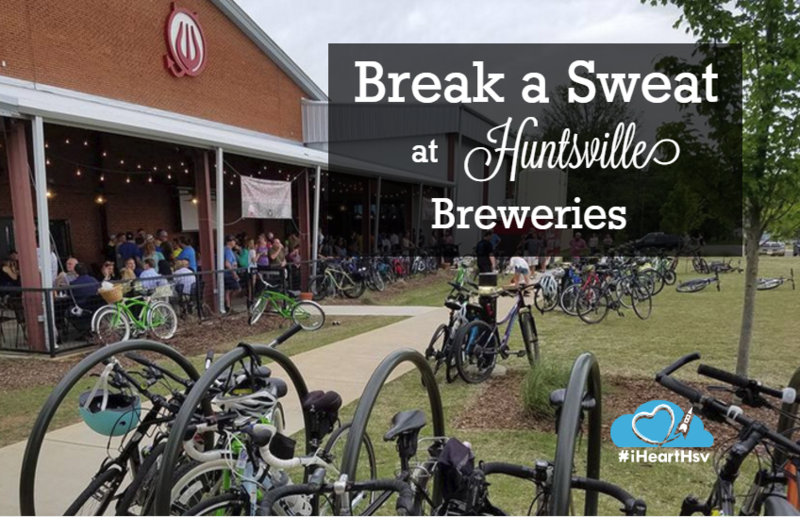 Many of Huntsville’s breweries offer ways to exercise and enjoy a pint while you’re at it. Whether you are a beer-loving runner, yogi or dancer, there is something for everyone. Rocket Republic offers numerous exercise classes including Pure Barre, Latin Dancing and Swing Dancing, but their most popular weekly event is their Sunday yoga. 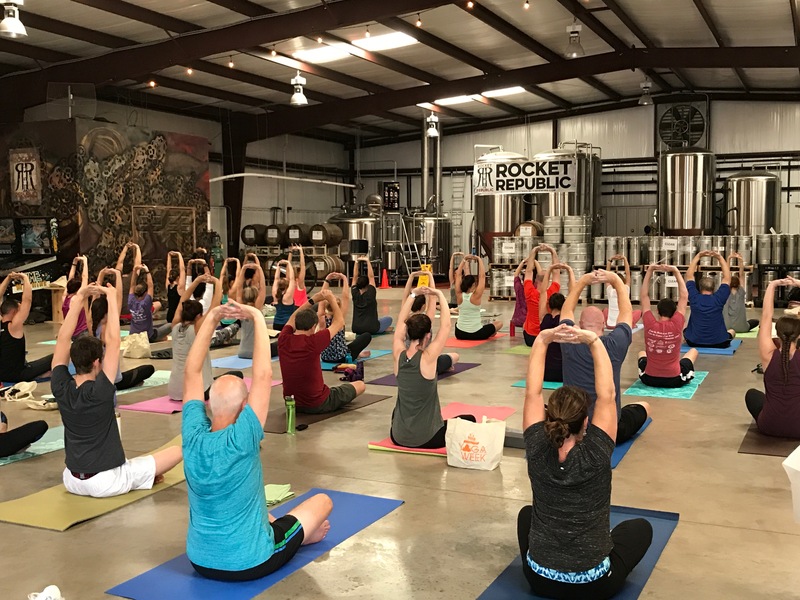 Brewery owner Tatum Crigger started teaching yoga classes two years ago during Rocket City Yoga Week and it has been popular ever since. The one-hour class is $12, welcomes all skill levels and includes a beer. For updated information, visit their website. 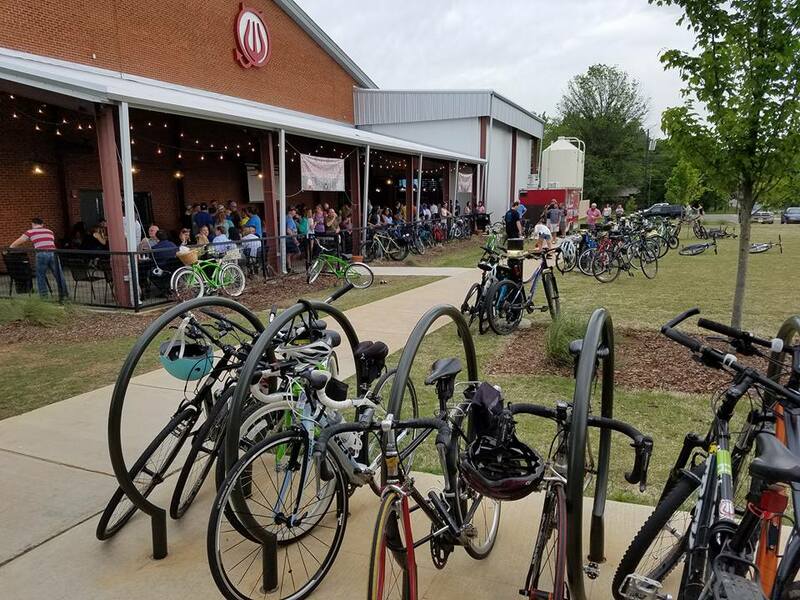 For the past three years, a group of cyclists have gotten together once a month to bike to various breweries and bottle shops across Huntsville. The group usually meets the first Friday of every month and travel 5-8 miles to visit different locations for beer sampling. This free event averages around 70 participants and welcomes all ages (but you have to be 21 to drink!) For scheduled events and updated information please visit Bikes and Brew’s Facebook page. 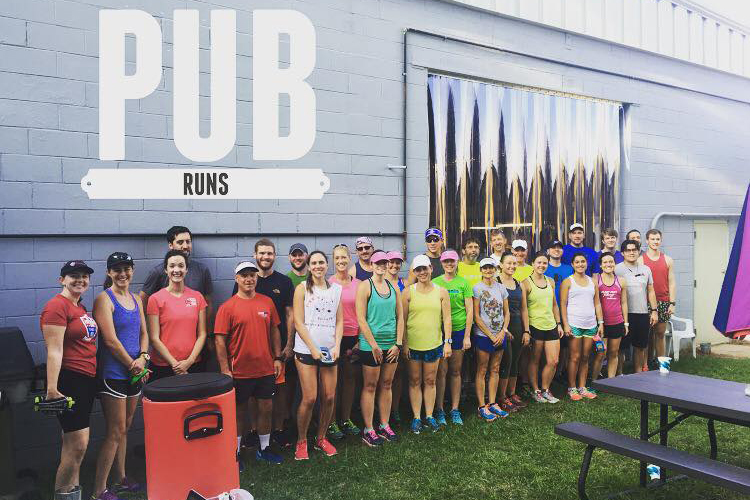 Throughout the months of June, July and August, Fleet Feet Sports sponsors Summer Pub Runs every Thursday at 6 p.m. The 3 to 5 mile runs are free, and participants can enjoy beer tasting and a commemorative pint glass after the race. Refreshments will also be provided. For more information, visit Fleet Feet’s website. On the third Wednesday of every month, the Leeman Ferry Straight to Ale hosts swing dancing and a live jazz band for Preservation Jazz Wednesday. For $5, participants can partake in a 30-minute dance lesson before spending the rest of the evening dancing to live music. For more information, visit Leeman Ferry Lounge’s Facebook page. Located in the brewtopia of Campus No. 805, personal trainer and workout guru Mary Grace Huber offers one-on-one workouts as well as several group exercise sessions. She takes her clients to the next level in their fitness goals. Afterwards, they can sneak down to Straight to Ale or the Lone Goose Saloon to enjoy a beer. 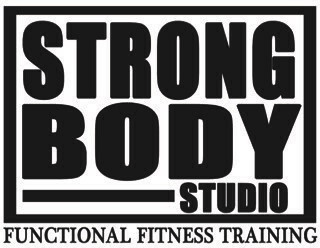 For more information, visit Strong Body’s Facebook page. New to the Campus No. 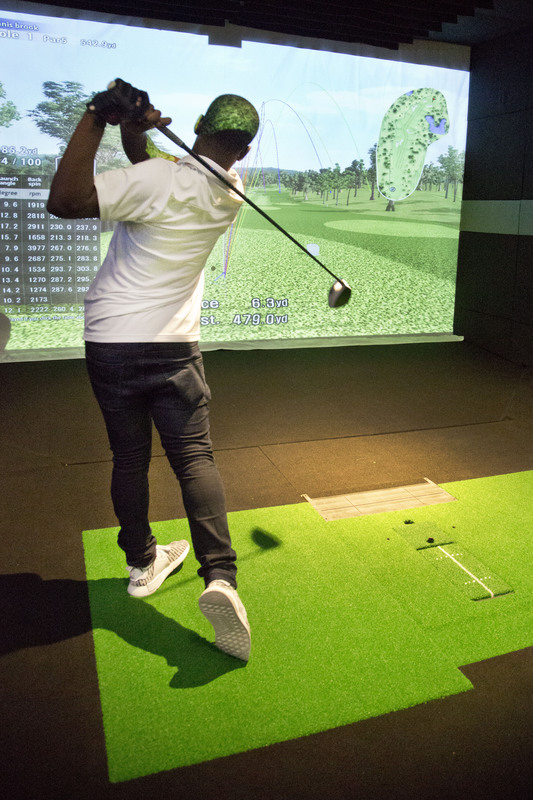 805 area, X-Golf is an indoor virtual golf and entertainment facility. Golfers can play on world-class courses, perfect their swing or take lessons with a PGA certified golf professional. X-Golf also has a bar with beer, wine and food. You can book your tee time or get more information from their website. 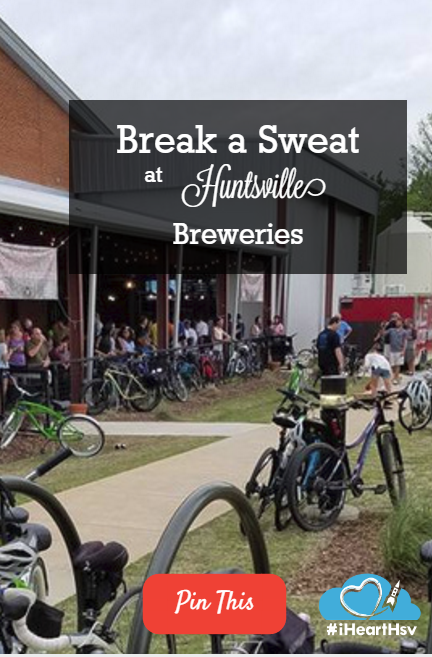 For more brewery workouts, check out the local breweries&apos; Facebook events! Tell us your favorite brewery workout in the comments below.